Home Opening Trailer Doors – Simple, Right? The subject of opening cargo trailer doors is kind of a “no brainer,” right? Covering a subject like this may seem very basic, to the point you may choose to ignore it. Of the approximate 1,000 trucking cases I have been involved in, something on the order of 10 or 15% or so have dealt with injuries that occurred when the doors of a cargo vehicle have been opened and one or more pieces of freight came cascading out and landed on an unsuspecting victim. It usually happens because a driver, dock worker, loader, or others involved with opening cargo vehicle doors as well as the people that loaded the vehicle were not adequately trained on the seemingly simple procedure of opening a door. 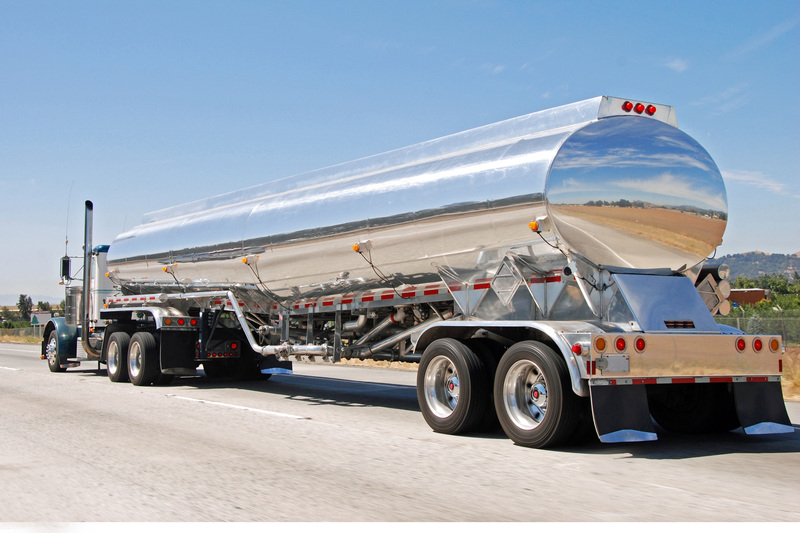 According to the Department of Labor, trucking is among the most dangerous professions. Training is essential to prevent the possibility of being brought into a worker’s compensation issue, a lawsuit, or a U.S. DOT or OSHA audit involving injuries from falling freight. Though opening truck and trailer doors may sound like an issue that hardly warrants training, very serious personal injury accidents are caused by not knowing the proper way to close them or open them. With swinging doors (barn doors as they are called), drivers and dock workers must be taught the safe way to close them and open them. People that load trailers, must start with the premise that trailer doors do not qualify as securement devices. The Truck Trailer Manufacturers Association Recommended Practice RP No. 47-99, 2.1 states, “Doors are not considered as cargo securement devices.” Assuming this practice is violated and the load is not otherwise secured by securement devices, the proper way is to ALWAYS keep the door between themselves and the freight. When opening the door on the right side, which opens first, as the latch is partially released and before it totally releases, the door should be pushed to be sure it can move even slightly back and forth with little or no pressure. If it does not easily move that ½ inch or so, it is likely that the freight has shifted and is pressing against the door. Should there be any question or even a suspicion, the person opening the door should enlist the assistance of a forklift. The forks should be moved together and placed near the center edge of the door, the latch can then be fully released, and the forklift can then back up slowly. As the door opens, people should not be anywhere near it or the opening. If the freight cascades out of the trailer, it cannot be predicted where or how it is going to fall. If there is no pressure against the door, the driver should stand to the right of the edge of the door, keep his left hand on the door, his left arm ridged and release the latch slowly with his right hand. Should the door be pushed open by falling freight, the driver should be so positioned that the door will push them out of the way of the falling cargo. Using a forklift to open trailer doors should be the rare exception. Trailer loading personnel must be trained to ALWAYS use cargo securement devices and never rely on cargo trailer doors to secure freight. Opening the left door is a little different. With the right door opened and secured, the driver should look inside to be absolutely certain there is no freight leaning against the left door. Should there be anything obstructing his vision or insufficient light to be able to see clearly, he needs to check again. Even if everything is safe and in place, material handling personnel should develop the habit of positioning themselves so the door pushes them out of the way should it be pushed open. The latch(es) should always be worked using the same hand as the door. The right hand works the right door latch and the left hand works the left door latch. In both cases, the other arm should be extended out fully with the hand firmly on the door. Roll up doors have the potential for a different set of problems. If they are normally opened from the ground because no loading dock is available, a grab bar should be mounted to the back corner of the truck/trailer body to hold onto and non-slip material placed on the ICC bar or step. When climbing up into the cargo area, the entry and exit system should be designed so the driver has three parts of his/her body on the vehicle at all times. This could be two feet and one hand or two hands and one foot to limit the possibility of a slip and fall accident. If a roll up door will not go up, it should never be forced open with a forklift. Roll up doors that will not go up, that had been working satisfactorily before, a mechanical problem is probably not the cause and it is more likely to be shifting and or falling cargo pressing against it. There is no simple answer to getting the door opened. Usually, roll up doors will open a little with freight pressed against them. To get them fully opened, it may mean getting someone under the door that can rearrange the load so it is clear of the door. This too could be dangerous. Having this experience once will present a good case for whoever loaded the vehicle or transported it to properly secure the freight with cargo securement devices so it does not shift and/or fall against the doors to prevent it from happening again. As with “barn doors,” roll up doors should never be used to secure cargo. Other cargo securement devices should be used. The resulting litigation from an accident of this type often can bring the entity that loaded the vehicle in as a defendant because the freight was not properly secured and the doors were sealed from preventing the truck driver from inspecting the load and securing it; the motor carrier that transported the load might be a defendant because they have the obligation, under the safety regulations, to inspect and secure the freight they transport; or make the plaintiff responsible for their own accident if they did not take the appropriate precautions in opening the doors. For Litigation Purposes, Who Is The Trucking Company?How Can It Be the Same Thing Only Different?